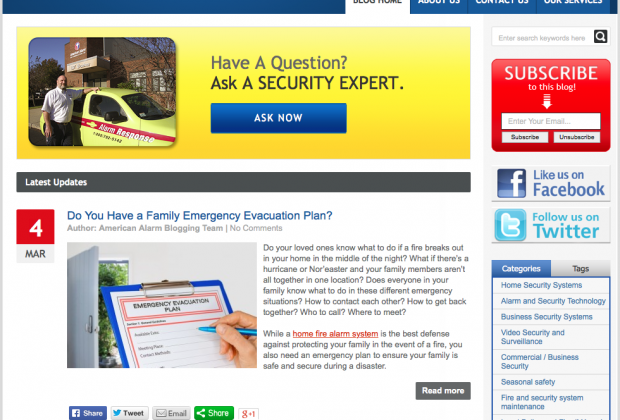 A leading business and home security systems provider in New England came to us in 2011 looking to bolster their online presence through content marketing. 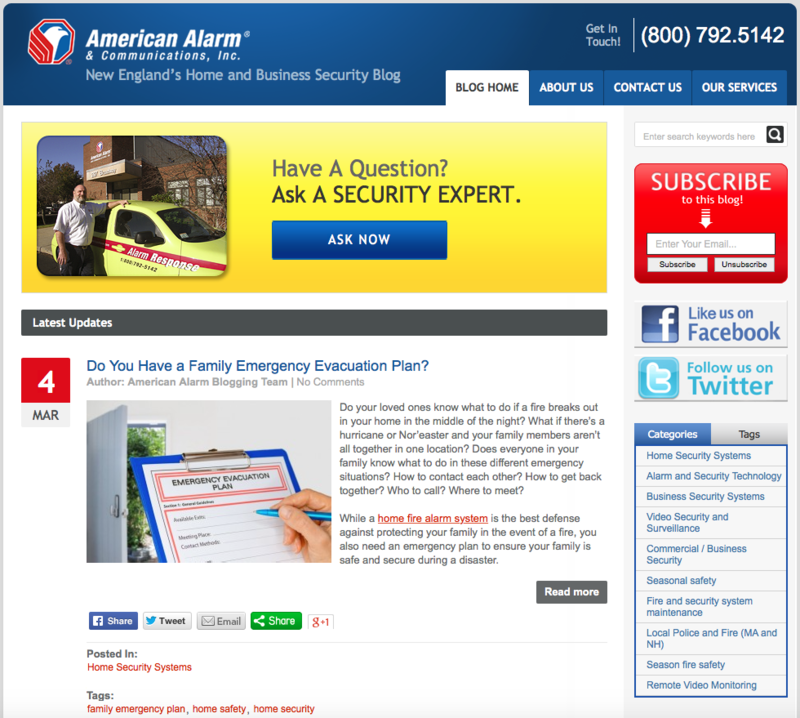 We started generating weekly blog content that touched upon business and home security information, news, trends, and safety tips. We also provide monthly video content using a "man on the street" style of reporting on a story.